In order to get enough knowledge on the certain things that will need to go on the front cover I will have to look at more than one, not just focusing on the text but the positioning of my actors from my film trailer plus the props and the clothing they wear. 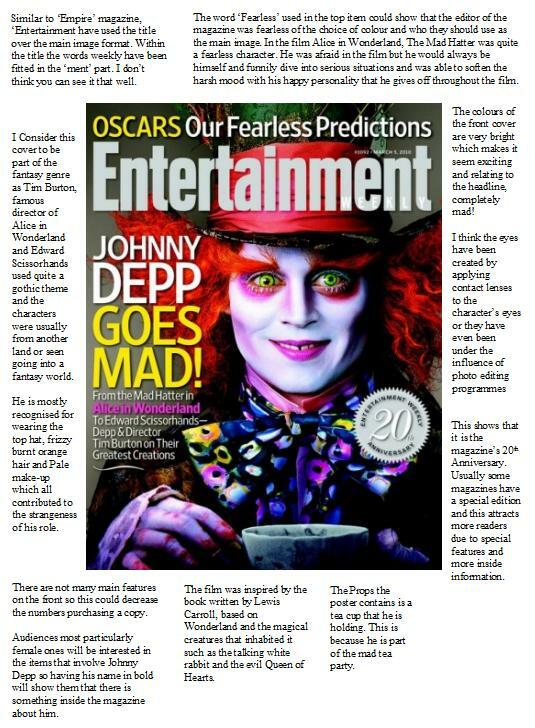 For my second magazine analysis it is Entertainment Weekly. Entertainment is an American magazine published by Time Warner and is based on film, television, music, stage and theatre. It’s primary aim is to provide information on media news and critical reviews which targets a very general audience.